In another sad occurence, gunmen numbering about 50 stormed kaguru village in Birnin Gwari local government of Kaduna state killing 7, while several others sustained varying degrees of injury as a result of the attack. Findings gathered that the attack occurred on Wednesday evening when the hoodlums stormed the village and began to open fire at the villagers. ‘As a result of the attack, 7 dead bodies were discovered while several others left critically injured. The injured ones it was learnt were taken to General hospital Birnin Gwari for medical attention. A source at the emirate who pleaded for anonymity remarked that the situation was calm as of Thursday, saying, “people are now going about their activities as normalcy had returned to the area”. 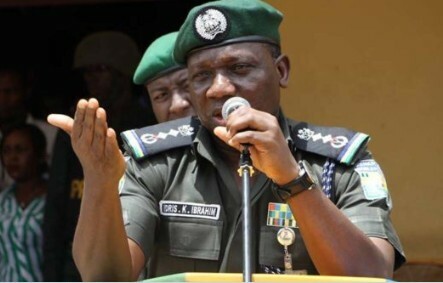 Confirming the incident, the Police Spokesman in the state, Muktar Aliyu said, the police had deployed a detachment of mobile police to the area to restore order. Meanwhile, the Kaduna state government has condoled with the people of Kaguru community over the unfortunate attack. A government statement by the governor’s aide, Samuel Aruwan disclosed that the State Emergency Management Agency (SEMA) is mobilized to provide relief materials to distressed persons and take inventory.